FullFun (stands for Fullerene Functionalization) is an open source software package, licensed under the GNU General Public License (GPL). FullFun provides an efficient and easy way to generate, analyze and predict the structures of neutral and charged fullerenes, as well as their functionalized derivatives. It enables rapid predictions of the most stable cage forms and addition patterns. FullFun consists of four programs: bkcage, CSIOpt, XSI and XSIOpt, as will be described in more detail below. Written in C and C++ languages, the source codes can be compiled and executed on Linux, Mac OS X and Windows (via DOS) operating systems. The bkcage program is an extremely useful utility for general purposes of generation, identification and nomenclature of fullerene structures. Apart from constructing atomic Cartesian coordinates, it provides all relevant topological information, such as ring spiral code, symmetry, rings, adjacent matrix, canonical numbering, etc. Additionally, simple Hueckel calculations can be performed for pi electronic structures. The CSIOpt program allows for a reliable prediction of the most stable cage isomers of charged fullerenes, as well as endohedral metallofullerenes. The XSI tool performs a single-point calculation to evaluate the relative energy of a given regioisomer of exohedral fullerene C2nX2m, together with the canonical nomenclature of addition positions. The XSIOpt program enables a very efficient search for the low-energy addition patterns of C2nX2m, among a colossal number of possibilities (typically millions or billions). 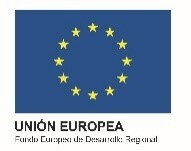 The research carried out by the authors and giving rise to FullFun software has been conducted at the Universidad Autonoma de Madrid and has been partially funded by the Spanish Ministry of Economy and Competitiveness (MINECO), the Spanish Research Agency (AEI) and the European Union (FEDER/UE), through the projects with reference FIS2013-42002-R, CTQ2013-43698-P (MINECO) and FIS2016-77889-R, CTQ2016-76061-P (AEI/FEDER, UE). The Authors have decided to distribute the FullFun software package as a free and open-source software under the GPL v3.0 (or later) license (https://www.gnu.org/licenses/gpl.html). Redistribution and use, with or without modification, are permitted according to the terms of the GPL v3.0 (or later) license and provided that the copyright notice, citation requirements and disclaimer are retained. The Authors of the software are Yang Wang, Sergio Díaz-Tendero Victoria, Manuel Alcamí Pertejo, and Fernando Martín García, herein referred to as FullFun Authors. Wang, S. Díaz-Tendero, F. Martín, M. Alcamí, J. Am. Chem. Soc. 138, 1551 (2016). DOI: 10.1021/jacs.5b10591. In case the User decides to use a modified version for research, he/she should also mention this situation in any work derived from it. FULLFUN software is provided as it is, with no technical support and no warranties. The Authors shall not be liable for any use derived from it. By downloading this software, I accept the conditions of use and distribution of FullFun software. I agree to receive communications on software releases. If you do not have an ID, please register for one. For deatils about installation, please check the readme file of the FULLFUN code.